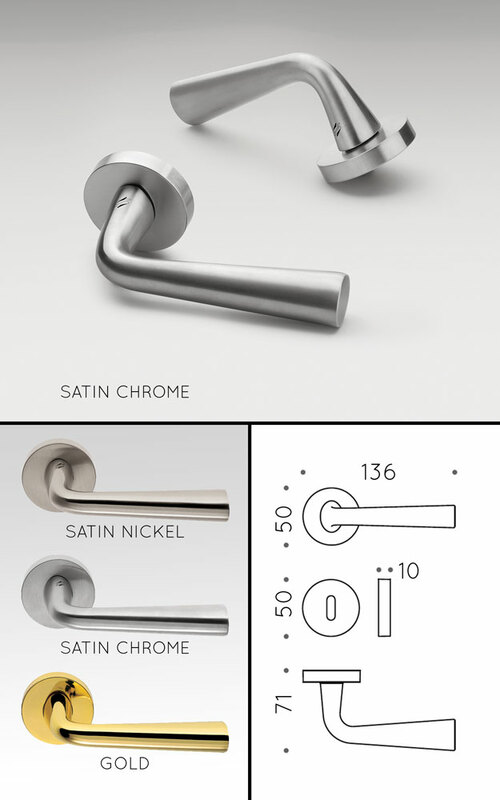 Top quality contemporary Italian design stylish luxury door handles that are available in brushed nickel, brushed chrome and polished gold finishes. All interior door handles are supplied with matching keyhole escutcheons. Handles and thumb turns are special order products from Italy, please allow 3-4 weeks for delivery.  Italian design and manufacture.  Keyhole covers included with handles.  8mm spindle for handles.  6 or 8mm spindle for thumb turns.  Handles for door thickness 32 - 60mm.  Thumb turns for door thickness 40 - 50mm.